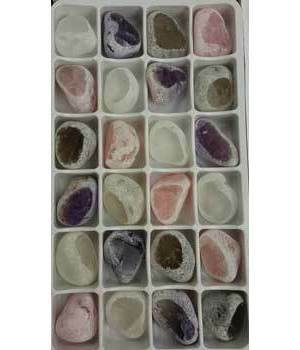 Flat of 24 assorted windowed clear, amethyst, rose, and smokey quartz. Each stunning stone is tumbled with outer side frosted and a clear polished flat side window for viewing into the stone. Wonderful for scrying, meditating, or for decor. Measures 1 - 1 1/4" .